FOR OVER two decades, Edgar Davids did more than just nip at the heels of his opponents. 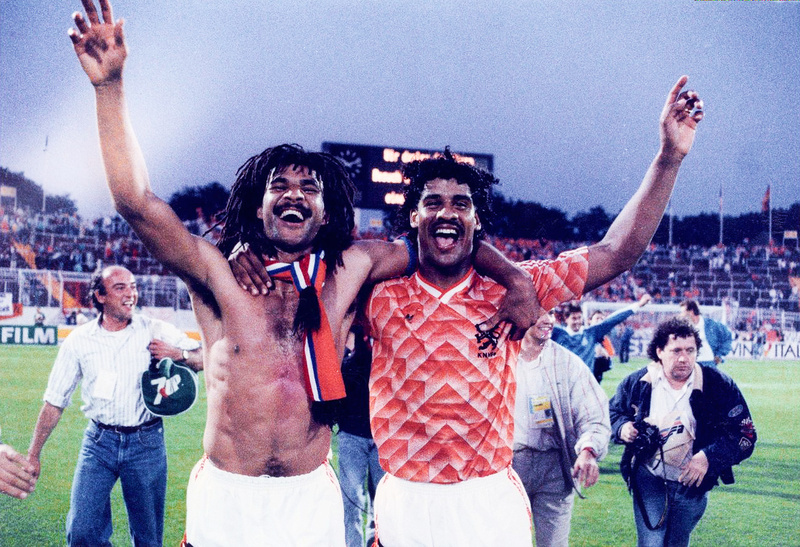 On the way to a hat-trick of Serie A titles, as many Eredivisie winner’s medals, and a crowning Champions League trophy aged just 21, Davids hunted, harried and harassed his way into some of Europe’s most talented squads either side of the new millennium. 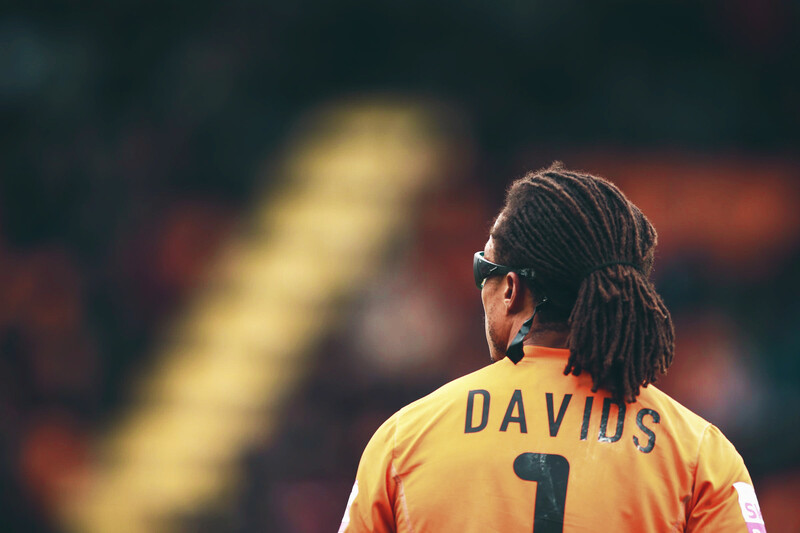 Assisted in part by his unmistakably dreadlocked hair and unique orange-tinted goggles, with both bark and bite feared in equal measure, Davids seldom completed a match without stealing focus. 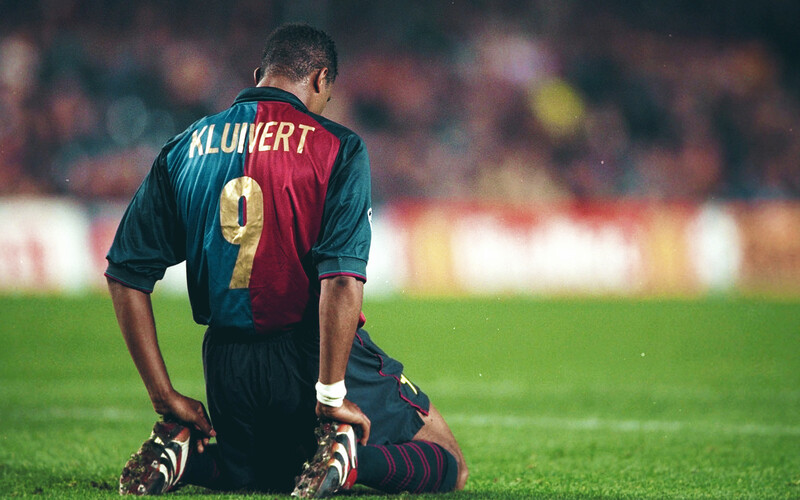 Having cut his teeth alongside the likes of Dennis Bergkamp, Patrick Kluivert, and Clarence Seedorf in Louis Van Gaal’s all-conquering Ajax squad of the early 90s, Davids came to swap Amsterdam for Turin, though not before a brief stay in the red half of Milan, where his dynamism dovetailed alongside the technical grandeur of Zinedine Zidane. Together at the heart of the Juventus midfield, the two formed a partnership to rival all that came before it. When Davids and the Old Lady finally parted ways, after seven sublime seasons, the determined Dutchman embarked upon something of a gap year in Barcelona, discovering himself in the Mediterranean and helping to spark a long-awaited Catalan revival, before making his way to the Premier League to set lilywhite hearts racing during a two-year spell at Tottenham Hotspur. When the whistle blew on Edgar Davids’ final game it wasn’t beside Zidane that he stood. He wasn’t adorned in the famous orange of his fellow countrymen, nor had he been doggedly patrolling the centre of the park at San Siro or Stadio delle Alpi. Instead, ‘The Pitbull’ had been splitting his time between pitch and dugout down at The Hive Stadium: home of League Two Londoners Barnet FC. Even without dwelling on his ironic, semi-voluntary duty as world football’s only bespectacled hard man, Davids’ penchant for life’s more mercurial behaviour was rarely concealed and even the briefest of retrospections into his career uncovers a player never afraid of shocking his contemporaries. Consequently, one or two surprises were thrown up along the way, on either side of the white line. Davids’ initial admission into the Ajax academy, at 13-years-old, surprisingly came only after three attempted trials. His move to Juventus after just half a season at AC Milan was predicted by few. His impact at Barça, as well as the initial loan move itself, stunned many. While, in 2010, his signing for then-second-tier English club Crystal Palace, 14 months after leaving Ajax for a second time, downright bemused most. However, no level of familiarity with Davids’ capriciousness could have adequately prepared the sport’s attentive audience for the events of October 2012, when all were left rubbing their eyes in disbelief as the headline ‘Edgar Davids Signs For Barnet’ graced every back page in sight. Late in the summer of 2010, Davids, eager to reignite his love affair with the English capital, entered talks with Crystal Palace. On 20 August pen was put to paper on a pay-as-you-play deal. However, this unlikely unification lasted just three months and, after six laboured appearances, Davids parted company with the Eagles. Tragically incapable of affecting the game in the ways he used to, many saw Davids’ inevitable Selhurst Park exit as not just a goodbye to the club, but a goodbye to his playing career. When a club-less Davids was elected to join the Ajax board of directors alongside Johan Cruyff, the following June, this was all but certain. Though no official retirement announcement came, most were certain of the reality even without its explicit confirmation. Perhaps a man of Davids’ pride just couldn’t bring himself to formally call time on his playing days. Then an announcement did come, just not the one most anticipated. In October 2012, on a Thursday evening destined to rival the memories of marriages and births of children in the minds of Barnet fans the world – or borough – over, the official Barnet FC website illuminated the faces of the unsuspecting public with news of the Dutchman’s plans. Davids wasn’t retiring; Davids was becoming a Bee. At Barnet, Davids was to partner current manager Mark Robson while also making himself available to play as part of the club’s squad, operating as their heavily-hyphenated joint-head coach and player-manager. After the initial shock subsided, it became clear that this dual-role was somewhat idyllic for Davids as it opened up a route into the managerial side of the game that he longed for while still affording him an opportunity to continue playing at a level more suited to his, shall we say, maturity. Upon his arrival, the highly decorated Dutchman wasted no time in humbly announcing his intentions to save English football. In true Davids-style, he pulled no punches. Unimpressed by the state of the game across the country of its inception, he said” “When I look at the English team and I see them play, I’m not a great fan … it needs a lot of work.” Davids intended to bring about something of a footballing revolution, starting in the simple surroundings of the League Two basement dwellers. Despite the evidently less grandiose settings of his latest place of employment, Davids carried with him all the ambition and tenacity the fans of his previous clubs had become accustomed to. After all, this was very much a passion project for Davids. He’d rejected ludicrously lucrative deals in Asia and the Middle East just to be a Bee. Davids was no stranger to wearing stripes, coincidentally he’d rarely played for a team that didn’t wear them, so glancing down at his jersey to see the repeating amber and black of Barnet wouldn’t have provided too great a shock to the system. But those stripes marked the first and last of the similarities between Davids’ clubs from yesteryear and his new digs in North London. A world away from the treble-tiered stadia and superstar line-ups of years past, Davids made his debut for Barnet at home to Northampton and though the occasion may have lacked a little glamour, Davids’ contribution to the game lacked no such leadership. With a Man of the Match performance, the self-appointed captain spurred his team on to a comfortable 4-0 win; a victory so convincing, few in the crowd could believe it was the first they’d witnessed all season. Over the course of their next three games, Barnet followed a 0-0 draw away to Wycombe with consecutive 1-0 wins against Chesterfield and Torquay, clawing themselves away from the bottom of the league. It wasn’t particularly pretty, emphasised no less by Davids’ first red card coming just six games into his Barnet career, but the Davids effect was palpable and the fans didn’t hesitate to sing the praises of their new saviour. However, Davids was wary of being knighted before saving his kingdom. Forewarned by the man himself, having indirectly addressed the fans wildly celebrating their first win of the season with an interesting Dutch metaphor, he remarked: “One bird does not make a good summer,” and what followed for Barnet could hardly have been described as a summer at all. Despite early reassurances of the pair’s intentions to work collaboratively, Mark Robson parted ways with Barnet a few days before the turn of the year and so, from 2013 onwards, Davids retained sole charge of the Bees. Though 12 wins followed their first, secured on Davids’ debut, so did 12 losses, adding to the nine already suffered prior to Davids’ arrival. Fifty-one points amassed in total, Davids had assisted in a fine upheaval of Barnet’s fortunes, seemingly unshaken by the departure of Robson, but this wasn’t enough to prevent their relegation to the Conference. At the close of the final day, it was by a goal difference of just five that lost Barnet their Football League status. In the weeks that followed, fear of losing Davids was rife as fans failed to find many reasons why the Dutchman would elect to remain at a club in the fifth-tier of English football. But their pessimism was unfounded as Davids quickly sought to reiterate his intentions to lead Barnet back to League Two and preparations began for the coming season. Part of these preparations involved Davids’ announcing his intention to wear the number one jersey for the duration of the season. Characteristically subtle from the Dutchman. Unfortunately, fans weren’t given a glimpse of their peculiar new number one until matchday 11 as Davids chose not to feature in Barnet’s first ten Football Conference fixtures, instead watching his side eagerly from the touchline. But having picked up just 16 points from an available 30, only enough to see them occupy fifth place in the league, Davids saw fit to intervene. A carbon copy of his first season in amber and black, Davids made his way into the referee’s book in each of his first three appearances of the season. But the temperamental tactician outdid himself at home to Wrexham, just six days short of his one year anniversary at the club, by picking up his first straight-red of the campaign. Fearing a late Wrexham-winner could be on his team’s horizon, Davids used a break in play as an opportunity to slow the game down, grabbing the ball and holding on for dear life. When Stephen Wright attempted to wrestle matters into his own hands and force the ball from Davids’ grasp, the Barnet number one opted to aim a sharp elbow at the face of the Wrexham centre-back, sending him to the floor, his mouth bloodied, earning them both red cards for violent conduct in the process. Davids spent the next two months yo-yoing in and out of the team, some courtesy of voluntarily tactical decisions, some not so. But on 7 December Davids was handed another red card. Given a second yellow for repetitive fouling, just 10 minutes from the game’s end, Davids’ side was left to see out their 1-0 win against Hyde FC without their captain or manager present. The reality of having just one man for both roles furrowed the brows of some Barnet fans. The consequences that often followed having such a hot-head as that one man had them watching through parted fingers. When Davids returned to the matchday squad three weeks later, in a match against Salisbury, a similar fate befell him. After Barnet defender Carl Fletcher saw red for his mistimed penalty concession, his team’s eventual 2-1 loss was compounded by Davids’ very own red card, brandished just six minutes later, again in the form of a second yellow; this time for dissent. It was fast becoming clear that Davids’ legs, elbows, and now mouth, was writing cheques his club couldn’t afford to cash. Harsh though some of the cautions may have been, the facts remained: Davids took to the pitch 37 times in the league for the Bees and had been sent from it no less than five times. Davids’ time in Barnet was undeniably memorable and his influence on the club remains unquestioned. But what drive, experience, and relenting passion he brought to the North London minnows eventually became increasingly regularly undone by his inability to control his temperament, in light of his virtues and, in retrospect, Davids simply became a victim of his own self-perpetuating cycle of ill-discipline. Frustration borne from being unable to carry his team effectively would draw out his more volatile nature, provoking an influx of yellow and red cards, thus leaving Davids banned and frustrated at being unable to play. Then, eager to prove his leadership qualities, hoping draw a line under his deteriorating disciplinary record and atone for his errors, Davids would put in even more effort, though this would often make way for yet more frustration and aggression, should the game not go his way, naturally resulting in further bans as a consequence of the inevitable bookings picked up along the way. When Davids’ sought retribution, responding to the ruffians in kind, the referee’s “targeting” of him only further shackled his spirit, eventually killing off his desire to keep playing and finally adding the dreaded ‘ex-’ prefix to his occupation. In the end, Davids’ spell at Barnet was more euthanasic than euphoric. His reputation may have whipped the Barnet fans into a frenzy but it enamoured his League Two and Conference rivals little. 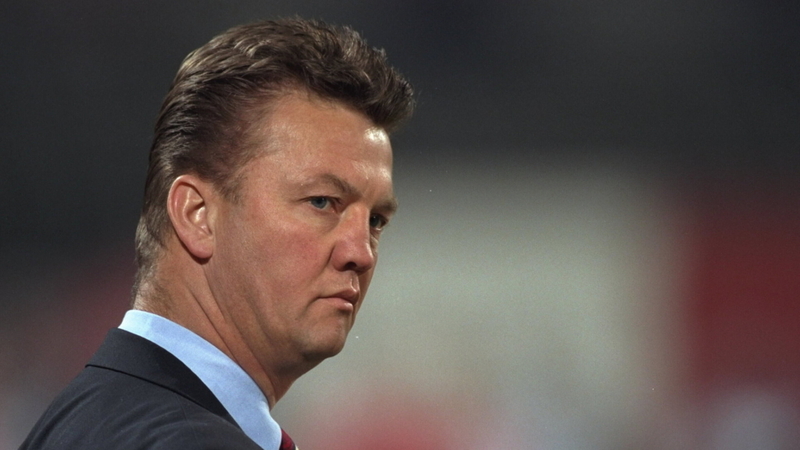 His name and his behaviour, which often oscillated between experimental and erratic, amused fans and pundits alike. But on the field only conspired to put a bounty on his head, providing his team’s opponents with an extra incentive to snuff out the Bees.